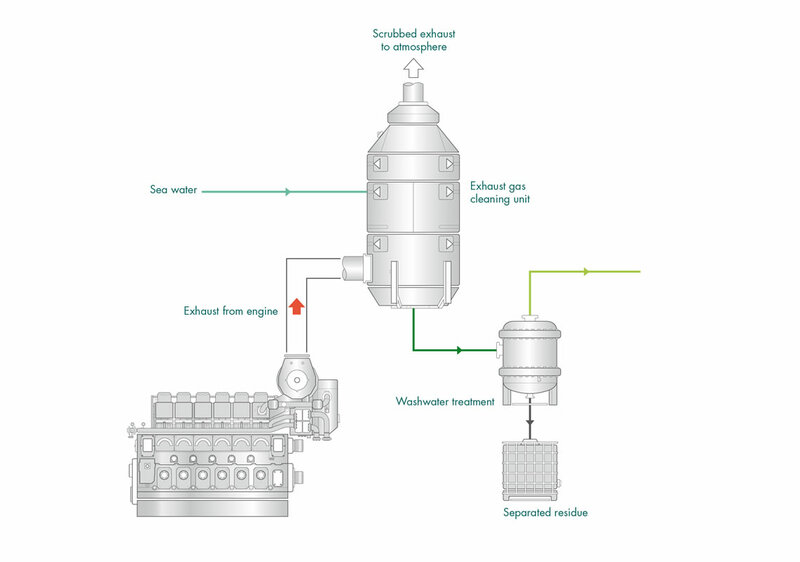 There are several different designs of marine exhaust gas cleaning systems (often referred to as scrubbers) that remove sulphur oxides from ship’s engine and boiler exhaust gases. 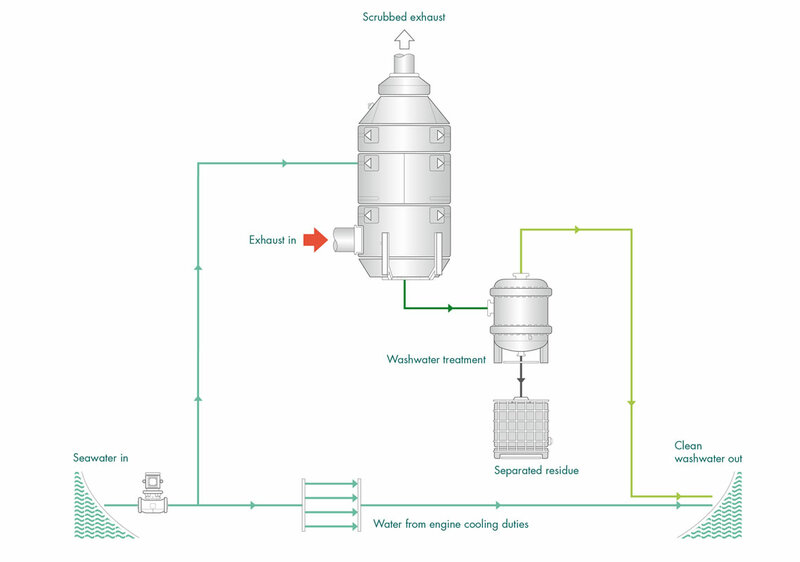 A vessel which enables the exhaust stream from an engine or boiler to be intimately mixed with water – either seawater or freshwater (or both). For reasons of available space and access the exhaust gas cleaning units tend to be high up in the ship in or around the funnel area. A treatment plant to remove pollutants from the “wash” water after the scrubbing process. 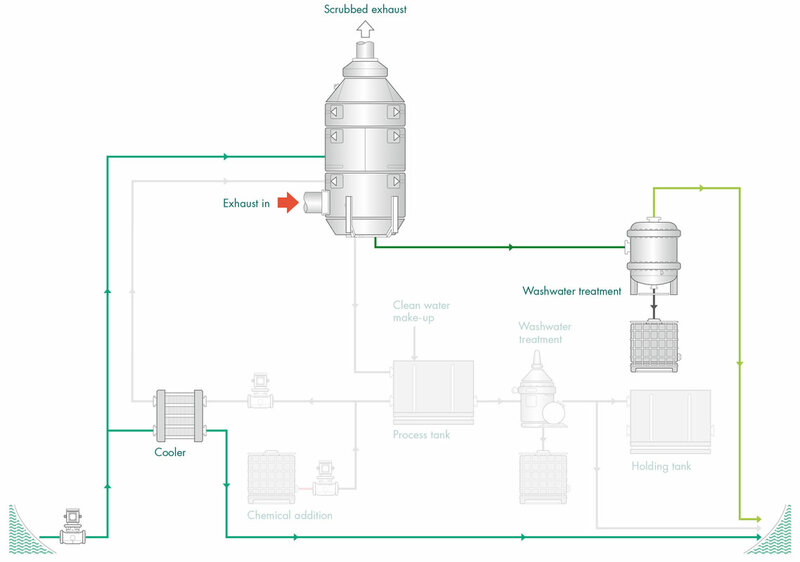 Sludge handling facilities – sludge removed by the wash water treatment plant must be retained onboard for disposal ashore and cannot be burned in the ship’s incinerators. 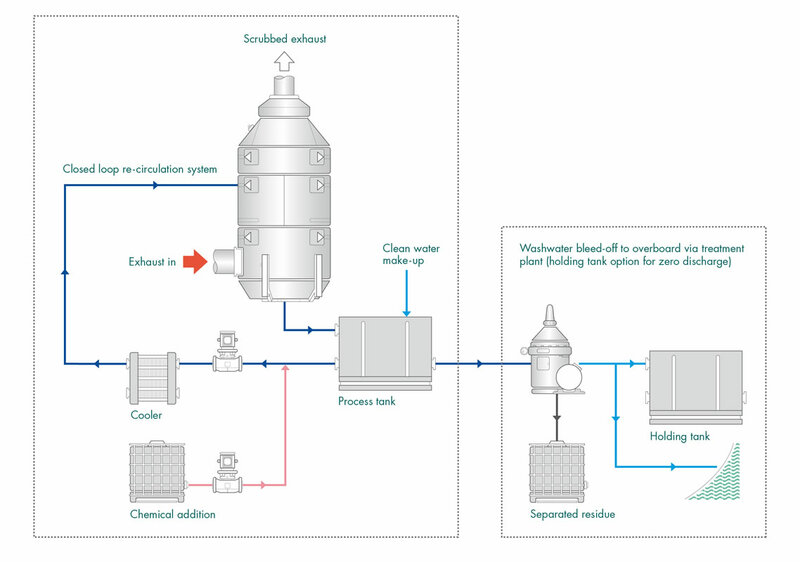 The system may be an “open” type, whereby water is taken from the sea, used for scrubbing, treated and discharged back to sea, with the natural chemical composition of the seawater being used to neutralize the results of SO2 removal. 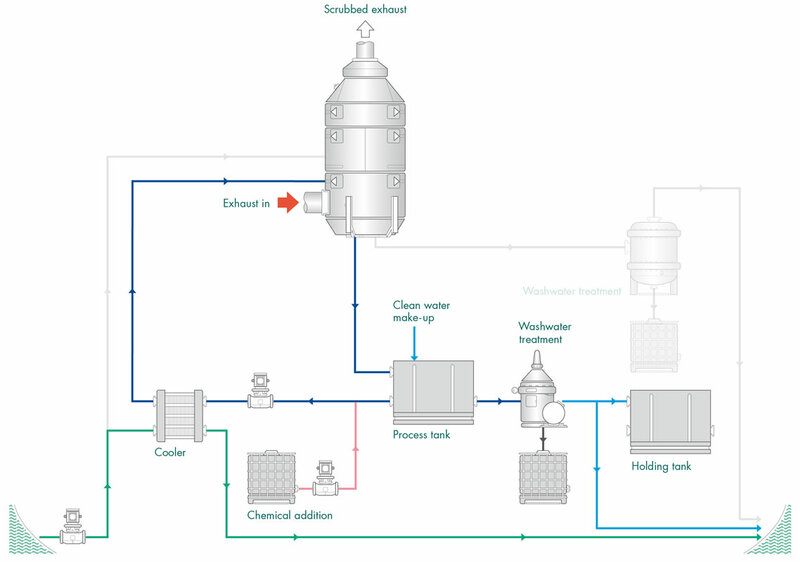 Typically open seawater systems use 45m3/MW h  for scrubbing. Or, the system may be a “closed” type, whereby freshwater treated with an alkaline chemical such as caustic soda is used for neutralization and scrubbing. The wash water is re-circulated and any losses made up with additional freshwater. A small quantity of the wash water is bled off to a treatment plant before discharge to sea. Typically closed freshwater systems have a discharge rate of 0.1- 0.3m3/MW h  although the system shown can operate with zero discharge for limited periods.